Knowing the above three points, the next couple of years will bring an influx of short sales and REOs in the market as banks start to speed up the foreclosure process. If you are a real estate agent, an investor or any real estate professional, this is an untapped market. Real estate professionals that avoid short sales because #1. they had a “bad” experience or #2. it takes too long … they are making mistake. With regard to #1, they probably had a bad experience because the person that was handling the short sale did not know what they were doing. With regard to #2, short sale takes time and there is no way around that. However, you have to understand that and accept it. But having a short sale transaction in your pipeline means one additional transaction that has the potential to close. 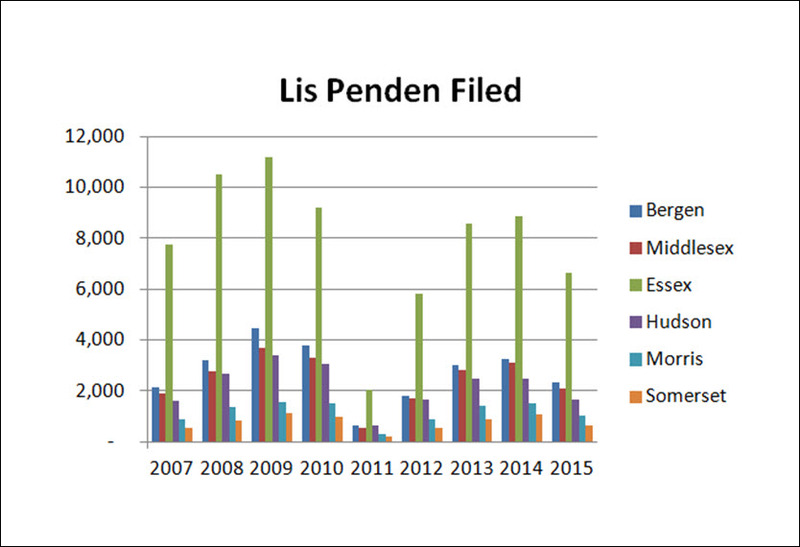 In our Foreclosure Report, the number of lis pendens filings for all of the towns in each counties in New Jersey from 2007 to 2015 have been compiled. If you are interested in this report, sign up to get the report as well as the replays of the previous webinars. Download the Free Foreclosure Report by entering your information to the right. We’ll email you the pdf of the guide as well as the link to the replays of the previous market update webinars so you can go through it at your own leisure. You’ll also receive other tips and market updates from us to help you gain the competitive edge.